BHIM is a payment app launched by the government of India. It is the most popular UPI app used by millions of users in India. BHIM app is available for both Android and iOS platform. The Bharat Interface for Money (BHIM) was launched by Indian Prime Minister Narendra Modi with an initiative to enable fast, secure and reliable cashless transaction through smart phones. 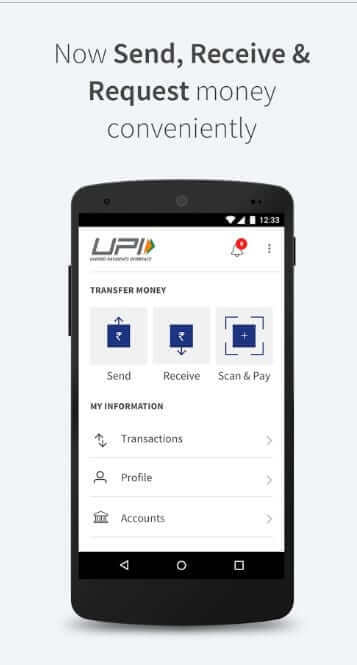 Within days of its launches, it became the most popular UPI app. It has been developed and designed by the National Payments Corporation of India (NPCI). BHIM App is supported by almost every bank of India. You can access all your banks within a single BHIM app download. Almost every public bank and private banks have been added to BHIM list. Below is a list of all the banks that supports BHIM app. Allahabad Bank , Andhra Bank , Axis Bank , Bank of Baroda , Bank of India , Bank of Maharashtra , Canara Bank , Catholic Syrian Bank , Central Bank of India , City Union Bank , DCB Bank , Dena Bank , Federal Bank , HDFC Bank , ICICI Bank , IDBI Bank , IDFC Bank , Indian Bank , Indian Overseas Bank , IndusInd Bank , Karnataka Bank , Karur Vysya Bank , Kotak Mahindra Bank , Oriental Bank of Commerce , Punjab National Bank , RBL Bank , South Indian Bank , Standard Chartered Bank , State Bank of India (SBI) , Syndicate Bank , TJSB , UCO Bank , Union Bank of India , United Bank of India , Vijaya Bank , Yes Bank Ltd.
More banks are to be added soon as told by the Government of India. The best feature of BHIM is its easy registration. You just need your registered mobile number (registered with the bank) to start using BHIM App. To use this app, just download it and add your registered mobile number. Now you can add your bank account by browsing to your bank list. After this process, you will have to create a PIN for further access. That’s it, you have completed your full registration with the BHIM App. BHIM App is the most secure and reliable payment app in India. BHIM uses a three-factor authentication system to make it more secure from hackers. According to the developers, The encryption used for the app to communicate with the payments server is the same that is used in Google Wallet or Apple Pay. Also, the app binds itself with the registered Mobile phone. 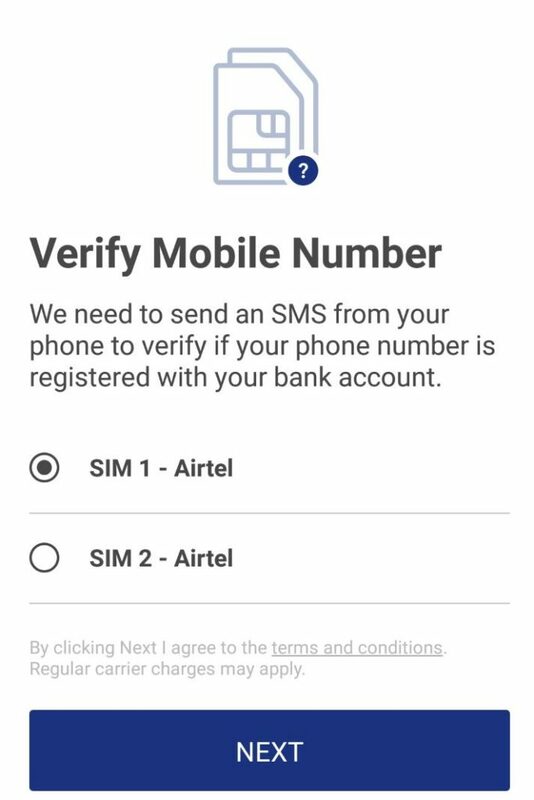 BHIM app will register itself with the device ID and Phone number. Hence, you cannot use BHIM app with a single bank account in two different Mobile phones. 4: Multiple features like Pay, Send and Check Balance. BHIM App supports many features such as Send money, receive money and view your balance. With BHIM app, you can send or receive money from friends, family and customers through a mobile number or payment address. You can also send money to an unregistered account using their Bank account number and IFSC code. With BHIM app, you can also scan a QR code to make a fast transaction. BHIM can even create your own QR code and show it to customers. BHIM is indeed the easiest way to make transaction online. BHIM app is compatible with both Android and iOS platform mobile phones. For Android phones, it requires Android version 4.2 or Above. BHIM App can also be downloaded for iOS platform phones.